Our award-winning development team is located all around the country. 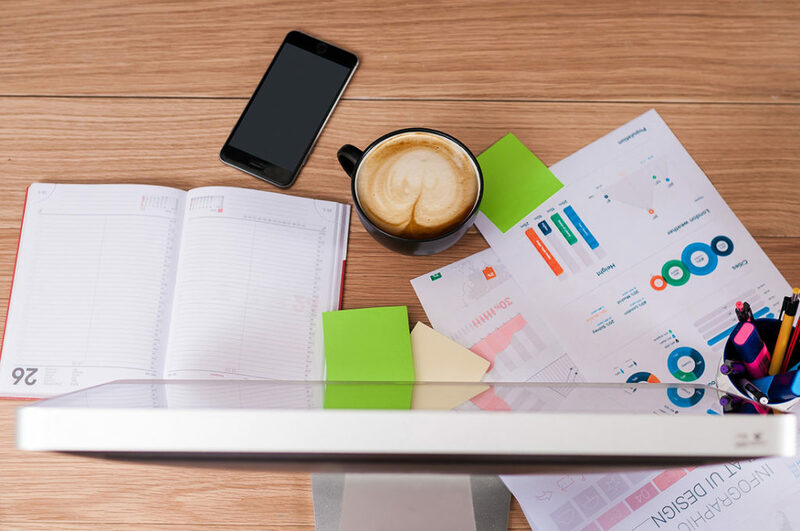 To stay connected and organized, we have been using an app called Smartsheet to great success. 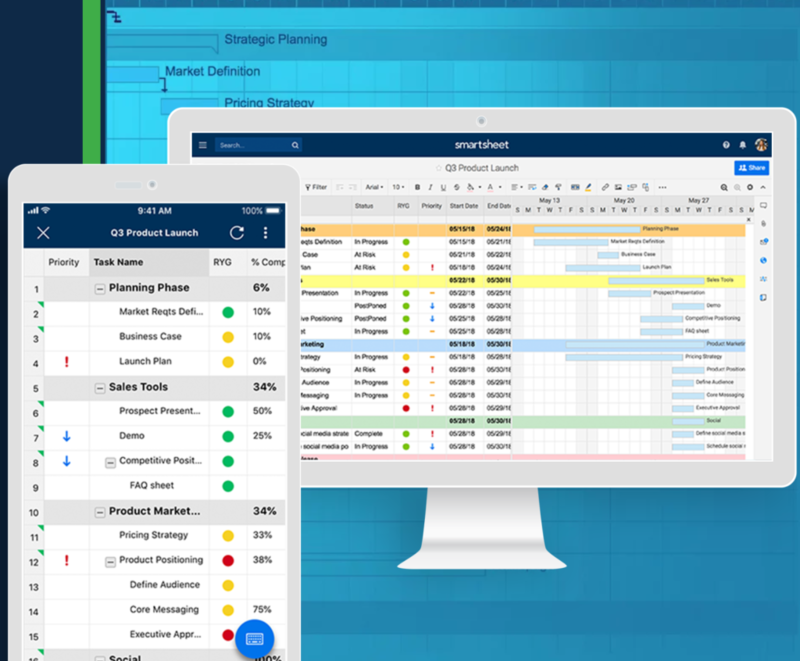 Smartsheet allows us to enter a project – from Dynamics GP upgrades to an Acumatica customization – and as it progresses, we can add notes. We can keep track of who is making changes, when they made them, and the whole project’s team is kept updated. 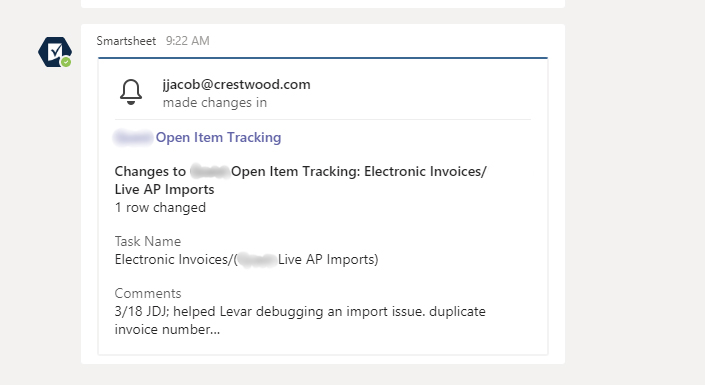 We can set up alerts for project leaders to be notified if a row is changed or added. 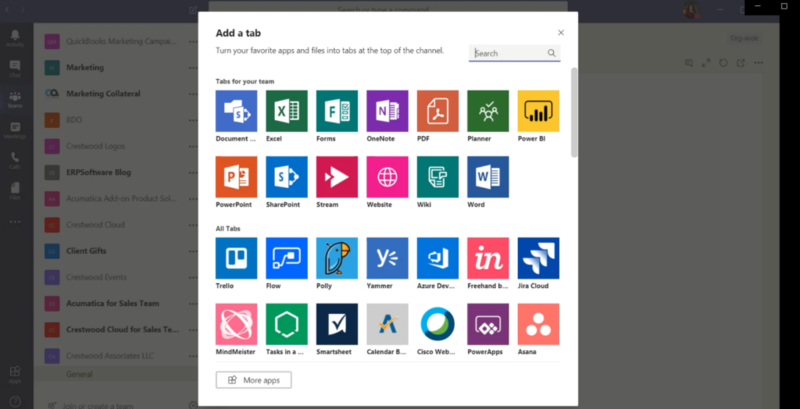 Because we’re always looking to get better and faster (and because Microsoft will be obsoleting Skype for Business soon), we’ve moved to Microsoft Teams to hold meetings, stay connected via chat, and share files. Imagine our surprise and glee when we discovered that Smartsheet is one of the many apps that integrates with Teams! Under the Teams tab the app (or web browser version), you will see all the various Teams that you are a part of, and have the ability to create your own. Under each Team are “Channels,” where you can organize your projects or project categories any way that is intuitive for the members of your group. Under each channel, then, is where the customization of Teams really shines. Natively, there are three tabs: Conversations, Files, and Wiki. Conversations are a great place to have discussions on anything relating to the project (no more searching and sifting through email or Skype convos to ask, “what did we say about that?”). Files, naturally, is where you can add Files relevant to the project. This acts as a SharePoint folder, and is a great way to have everything you need at your fingertips. The Wiki area is a space to add static content that you can always refer back to. And beside these three tabs is what we’re looking for: the “Add a Tab” function. As you can see, there are many options of existing tools and applications that will integrate with Teams. For us, we added a tab for Smartsheet. Now, each separate project (or “Channel”) can have a Smartsheet tab, with easy access to the project tracker. Additionally, you can add an app in the “More Apps” section of the toolbar on the left. For Smartsheet, adding the app here allows you to chat with a Help Bot, and to receive notifications directly through Teams (instead of receiving it through email, like we used to in Smartsheet). Teams allows you to receive Smartsheet requests and respond directly in the app; get approval request notifications; receive alerts about sheet changes and reminders; and tag teams members in pertinent tasks. This one-stop hub for collaboration has skyrocketed our team’s productivity. We also have the ability now to tag external members (namely, the bosses!) so they can keep up-to-date on our projects, as well. This is just one of the many ways that Crestwood is working hard to make ourselves a better partner for you, and helping you become better along the way. For more detailed information on using Teams, check out how our Marketing department is using Teams.